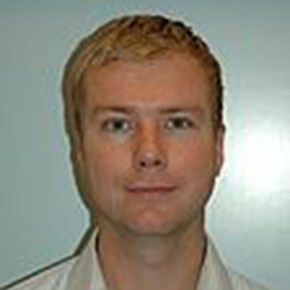 Pepijn de Jong commenced a Ph.D. research appointment at the section Ship Hydromechanics and Structures of the Delft University of Technology in April 2005, completing it in 2011. The research project was aimed at the development of a numerical tool to evaluate the seakeeping behaviour of fast ships, and involved both experimental and numerical work. During his Ph.D. appointment he was asked to take on the role of tenure-tracked Assistant Professor (Universitair Docent) at the same section in 2007 and got his tenure in 2012. Due to this appointment, his tasks were broadened and involved teaching ship and offshore hydromechanics and working on several smaller research projects. In 2011 he became member of the ITTC Seakeeping Committee. The International Towing Tank Conference is a voluntary association of worldwide organizations that have responsibility for the prediction of hydrodynamic performance of ships and marine installations based on the results of physical and numerical modeling (ittc.sname.com). In 2015 he moved to the Maritime Research Institute Netherlands and became senior project manager sea keeping in the Ships unit.